Sioux Falls, S.D. – Charles Haugland, Esq., Chair of the Children’s Care Foundation Board of Directors, has announced Jessica B. Wells as the new President of the Foundation. Wells’ appointment, effective immediately, follows a search for the position. 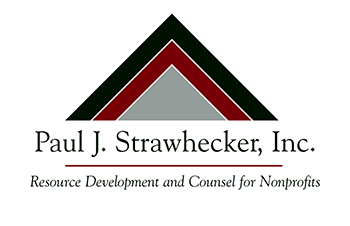 Paul J. Strawhecker, Inc. organized the search for the new president. The firm also conducted a development assessment and created a solid plan for the Foundation’s next 12 months. For the past eight months Wells has served as Interim President for the Foundation. She has been associated with Children’s Care since 2003, previously serving as Public Relations Coordinator and as Director of Development for the Foundation. A Certified Fundraising Executive (CFRE) and a Leadership Sioux Falls graduate, Wells is a member of Junior League of Sioux Falls, the Association of Fundraising Professionals South Dakota Chapter, the Association of Healthcare Philanthropy and the Planned Giving Council. She earned bachelor degrees in Journalism and Resource Conservation from the University of Montana in Missoula, Mont. Children’s Care Foundation supports Children's Care Hospital & School, an independent, non-profit organization with centers in Sioux Falls and Rapid City, S.D. Established in 1952 for children recovering from polio, the organization has evolved to serve children with a wide range of physical, cognitive, and behavioral challenges. Children’s Care annually serves more than 2,400 children with special needs, from birth to age 21.